The third race of the new-for-2018 Thunderslot Lola Series was another terrific race. Marty and Shawn had a great battle, both turning in record 236 laps with Marty just edging out Shawn by a .80 fractional to Marty’s .18. Both scored 20 points as Shawn had fastest lap–3.660 seconds to Marty’s 3.680. Whew! David was third with a still-excellent 233 laps and Russell was fourth with 231 laps. Alejandro was fifth at 230, followed closely by Steve at 239. Mark had car problems to finish last in Group A.
Randy was first in Group B with 226 laps and Austin in his first race with the Thunderslots, came in second with 224 laps, John was third at 221 laps. 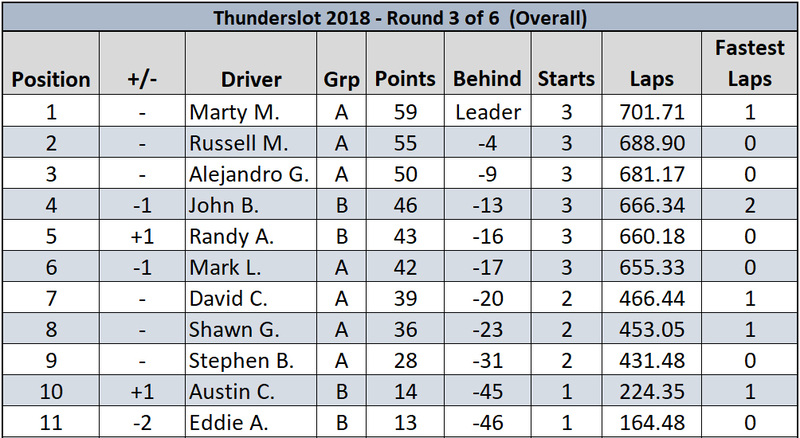 Marty has now built a pretty good overall lead in Group A with 59 points, with Russell second at 55 points and Alejandro with 50 points. 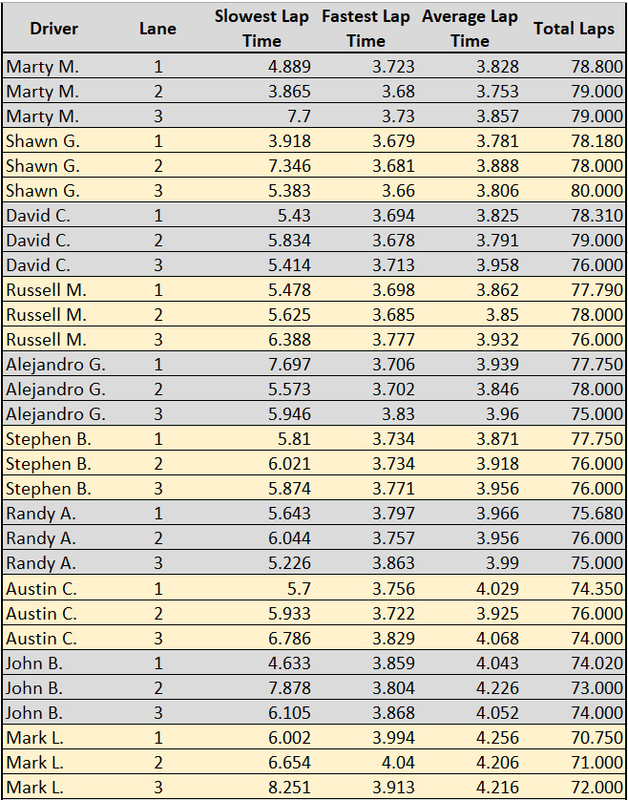 John leads Randy in Group B, 46 points to 43 points in a pretty close race. With the series half over, the Thunderslots have proven to be a very popular and competitive series. As the series continues and competitors will have to drop one race, the leaders may change. Stay tuned!